Last week one of my blogging friends posted that this One Room Challenge is making her feel like the mayor of crazy town. Hilarious, but so true! I thought choosing a bedroom for my ORC makeover would be easy, especially after completely renovating my kitchen in six weeks. I should know by now with any renovation project it always takes longer and is more involved than initially planned. But after 6 weeks of actual blood, sweat and even a few tears, here is my finished space! A drastic improvement for sure even though not everything went as I had planned. I had to make a few compromises and find a few substitutes for my original plans. One of which was the desk chair. The one I really wanted was just not in budget at this time. I found the cane chair at an antique store for $20 and gave it a makeover to better suit the room. 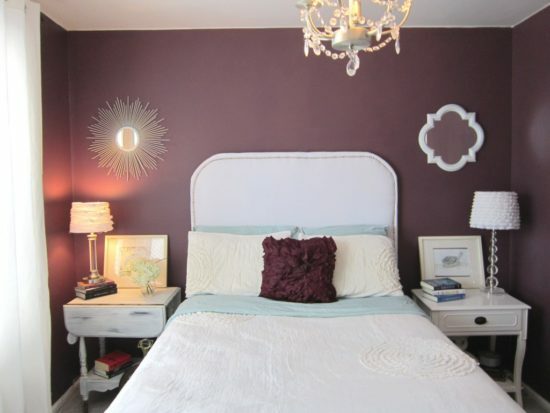 Finding the right headboard was a huge stress factor in this makeover for several reasons. When I was in the very beginning stages of planning my design, I visited an antique store where I found the perfect headboard that ever existed. It was completely unique and only $40! But sadly, it was a king size and I needed a full. There was no way to make it work. So I planned my design still with that in mind, thinking maybe I’d find something similar somewhere else. I didn’t. In addition to that, not all full beds are created equal in size and I needed exactly 55″ width or it wouldn’t fit with my nightstands. Every time I found one that worked with the design, it was the wrong size. Then my husband and I decided to DIY one. But with the clock ticking, I realized two weeks ago that there was no way we had time for that too. 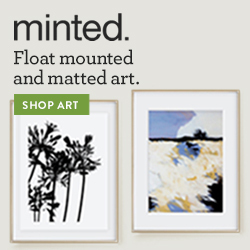 Finally, I found this one from Wayfair* that fit the space and the design. I love it, but honestly I don’t know if I’ll ever get over that first headboard from the antique store. First world problems, I know. For the bedding, I knew I wanted a white and linen combo. However, buying linen duvet covers or blankets can get really expensive. 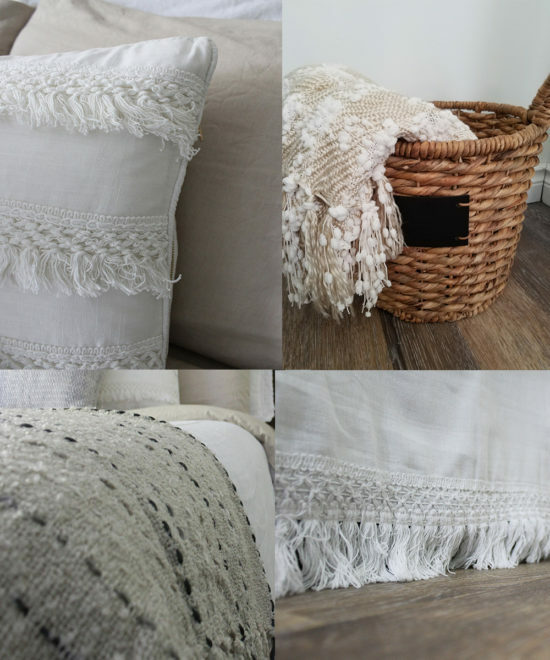 To get the look for less, I found these amazing linen sheets from Bed, Bath & Beyond. 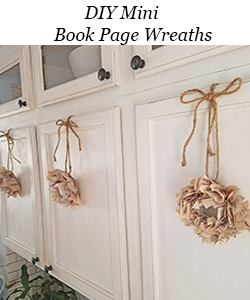 I used them in combination with white bedding to achieve the white and linen look without having to spend hundreds of dollars. I also spent an asinine amount of time picking the right throw pillow combination. Again, there were pillows that got away, sold out just when I needed them! I do love what I ended up with here though. 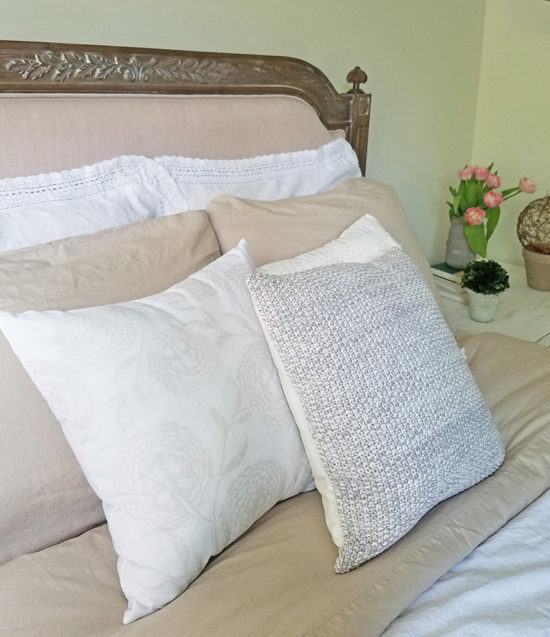 (You can find the floral pillow here and the neutral textured pillow here). Of all of the projects in the room, I have to say the barn door that my husband built might be the showstopper of the room. My daughter’s favorite color is green, so I painted it green, with a farmhouse distressed finish. No more bi-fold closet doors!! You can see how we built the barn door here. As for the hanging orbs, I’ve had those in a closet for at least a year waiting for the right place to use them. My plan was to turn those into chandeliers for over the nightstands. I had bought pendant lighting kits to do that but at the last-minute I decided I really didn’t want a wire hanging down the wall. Since my daughter wanted me to add string lights somewhere in the room, I wrapped these orbs with glimmer strings for now. I still plan to make those chandeliers in the future. (To my husband, you’re not getting out of that DIY project!). 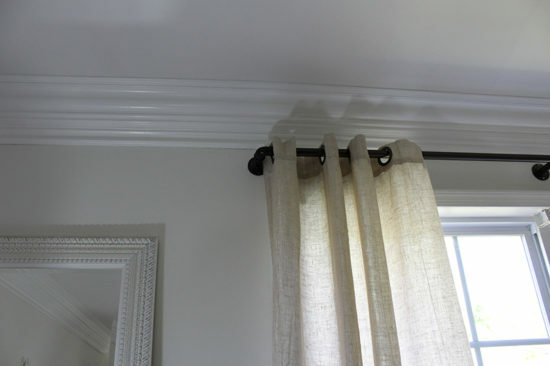 Of all the projects in this room, it was the curtain rod that nearly put me over the edge. As I was hanging it on the wall, the nails weren’t grabbing. So I started again, using the anchors this time. Even the anchors were falling out. It was as if the wall was crumbling around it. SO frustrating. Luckily my husband came home and was the voice of reason in my distress (this is a role reversal for us!) and fixed it all up for me. He said the screws were too short and so were the anchors! For the desk area, I wanted to pack in as much storage space as possible to help keep things organized. 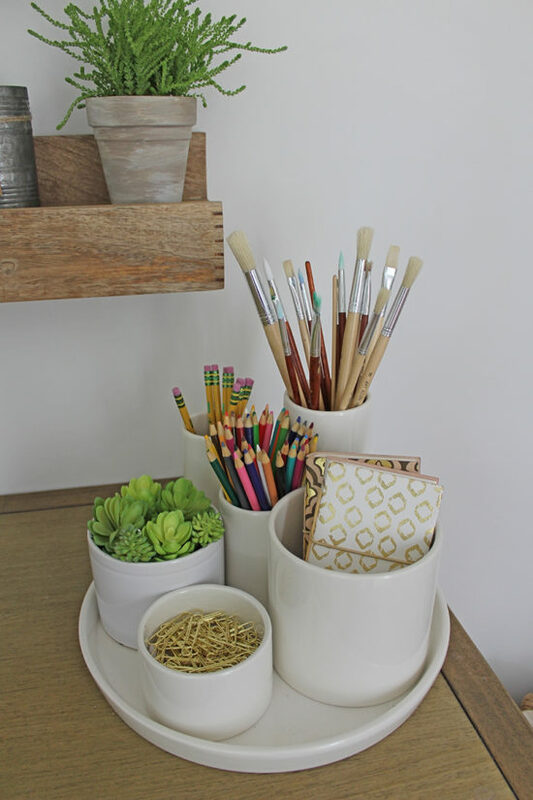 This little desk organizer is perfect. In a small space sometimes you have to hide things in plain sight. I also picked up this multi-functional rolling cart. This will be used for my daughter’s extra notebooks and text books as well as for her makeup. She can roll it right over to the mirror when she needs it. I could think of a use for this in every room. I added an ottoman to the end of the bed for extra clothing storage. 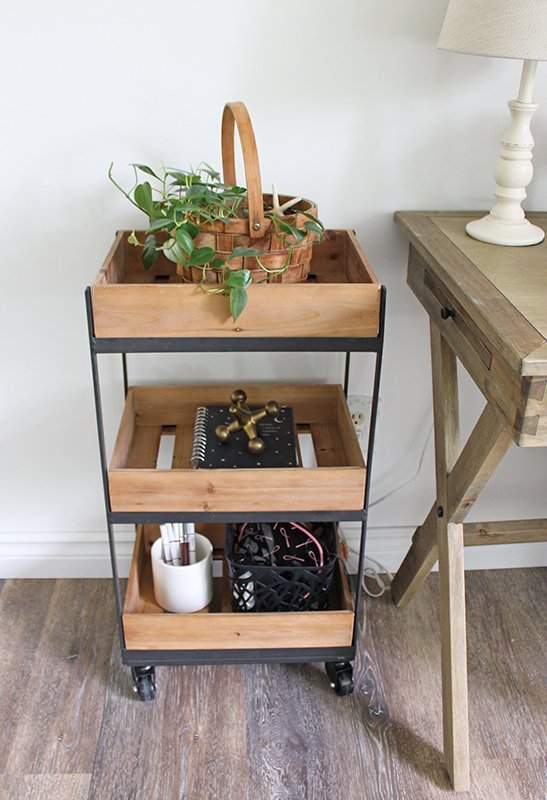 With the nightstands and this storage ottoman, it eliminated the need for a dresser, freeing up space for the desk. I kept things mostly neutral but I did add a few pops of green to echo the barn door. I added books with green to the nightstands. I also added a bit of green to my DIY garland above the bed. The beautiful wall decor I originally chose for this space is still on backorder, I still plan on using it when it comes in. In the meantime, I pulled that frame right off my bathroom wall to hang above the bed. 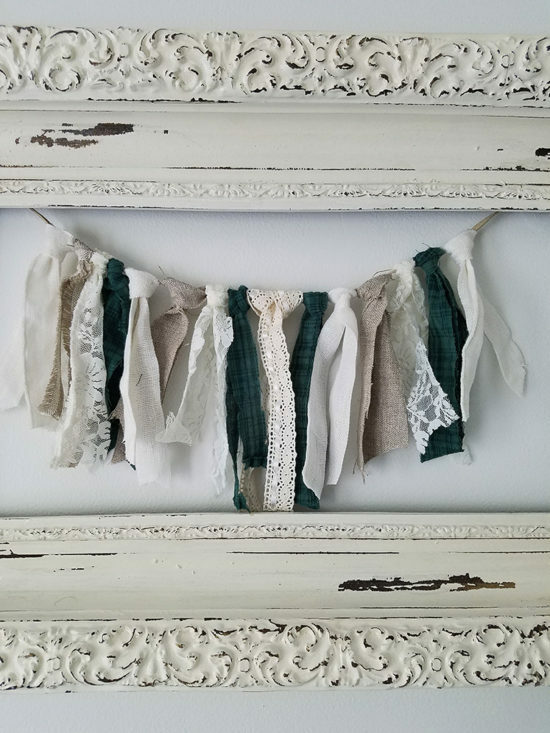 I made the garland because the frame looked a little bare and I wanted to incorporate a little more green. Because the room is mostly neutral in color, I relied heavily on textures for this space. Now that the six-week challenge is over, it feels a little like Christmas. It was a whirlwind leading up to it and now I have a lot of catching up and cleaning up to do. Thanks to my husband for getting on board the six-week crazy train with me again. For building the beautiful barn door, helping me install the flooring, fixing my curtain rod disaster and all of the other details, too long to list here! 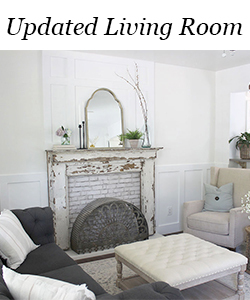 Thanks also to my wonderful sponsors who made this makeover possible: The Home Depot (flooring) , Metrie (crown molding), Bed Bath & Beyond, Minted, Antique Farmhouse, and Flowings Etsy shop. Thanks also to my contractor for installing the beautiful crown molding. To say this was an exhausting six weeks is really an understatement. I can’t wait until the next one, lol. If you missed weeks 1-5 you can catch up below. Roxanne, you did it!! It turned out so great, congrats! I love the lights, I want hanging lights that are OFF my nightstand!! Great job :). Thanks April, it was a crazy six weeks! The space is beautiful and so comforting! 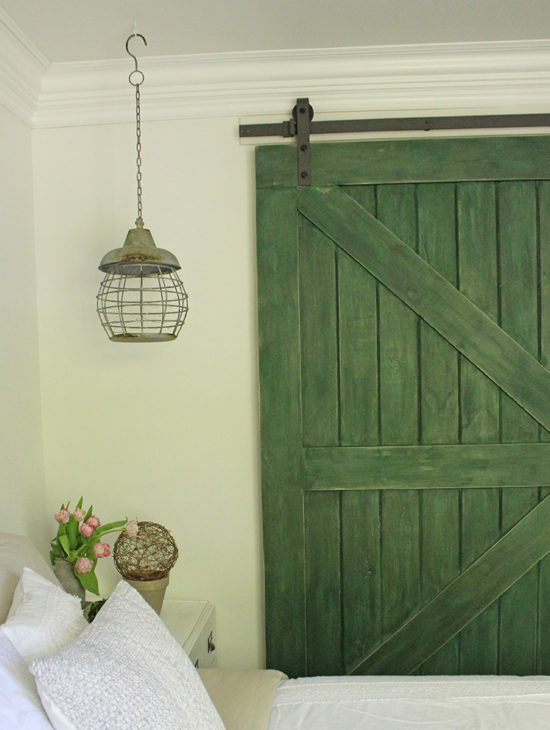 The barn door and the shade of green you used is perfect! Love the light fixture and the rolling cart and the desk and the accessories…ok, ok I’ll stop there because love it all. You did a great job and now you deserve a relaxing nap, haha. Thanks Rachel, if only you lived closer we could celebrate the finale together with a drink! such a great peaceful retreat now! that green barn door is amazing! Thank you Cassie, I do love that barn door! 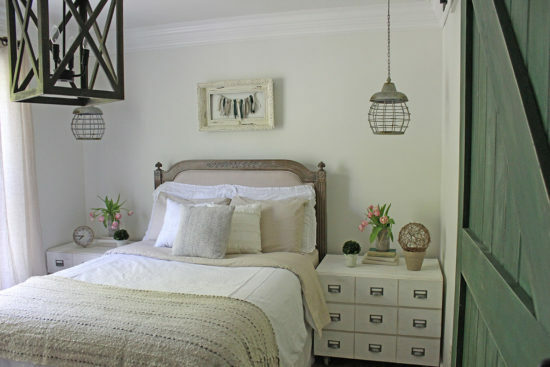 I just knew your bedroom transformation would be one of my favorites! That green barndoor makes the room. Kudos! Thank you Kendra, this one was exhausting but worth it! It’s absolutely GORGEOUS! LOVE how much brighter it looks with the lighter colours worked in, but I’m totally crushing on that beautiful pop of green in the sliding barn door! SO pretty! It looks gorgeous!!! Great job! Such an awesome transformation! That barn door is amazing! You are amazing !!! This room is beautiful. Thank you for choosing FLOWINGS on Etsy. It was my pleasure to work with you on the chair cover. Love it . Thank you Shelly! It was wonderful to work with you, I love the beautiful chair cover! What a great look! You have really given the room an updated feel. I especially love that desk and chair! Oh wow, such a gorgeous transformation! 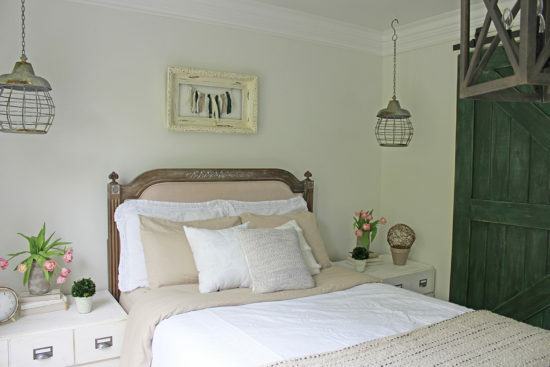 I love the bed, the lighting fixtures, and of course that beautiful green barn door! 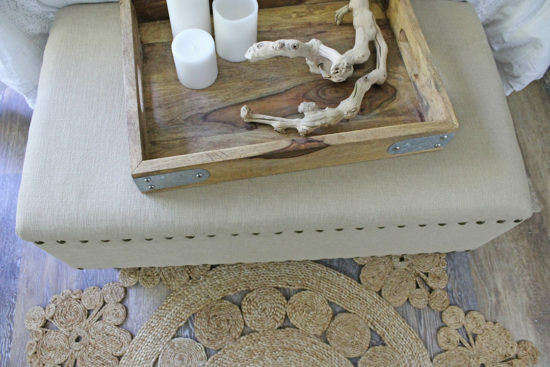 So chic and elegant with a touch of rustic charm. Such a great mix of furniture and accessories. Love it all. It’s beautiful! 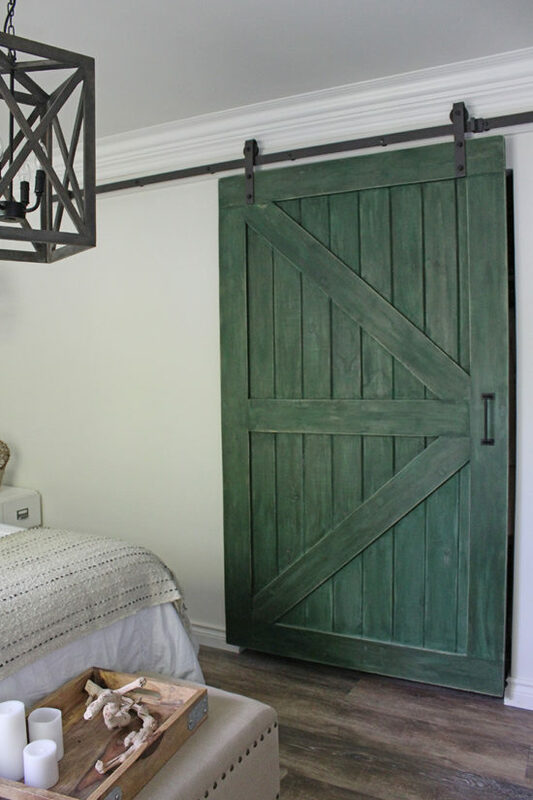 The green barn door is so amazing! Kudos to your hubby on that one! I love the bed too, but I totally understand the feeling of something not being what you are picturing. Congrats on finishing the room! Thanks Coco, let’s have a virtual drink to celebrate the finish line! ROXANNE! HOLY MOLY, what a makeover!!! I can’t stop staring at those hanging lanterns and the green barn door. 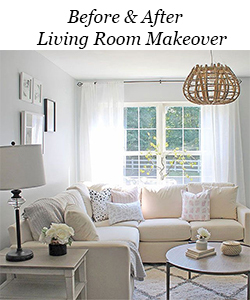 This is an insane makeover! What a beautiful room makeover. Doesn’t look like the same place. Great job! I love the bright new look you gave this room! The green barn door is beautiful! Roxanne, this makeover is so beautiful! You are right, the door is a show stopper. You have such a gift for room design. 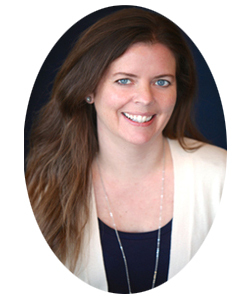 GREAT job, Roxanne! There are literally too many projects that I love here to mention them all. I can appreciate the meltdown that ensued over the curtain rods. There is nothing like a good ORC in the last few weeks to make even the calmest, most laid-back person to their knees, shrieking! Your daughter is a lucky girl! Roxanne, Just Love the room! That barn door is gorgeous and I am loving the green. 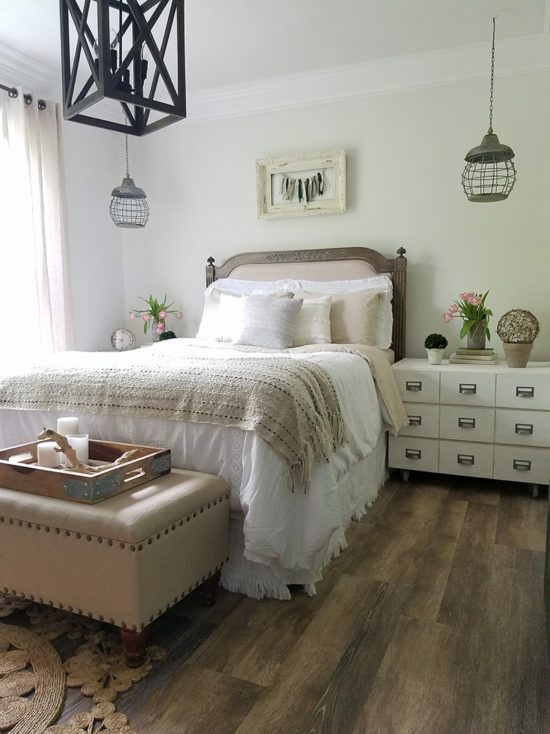 All the pieces you chose for the room are just stunning! Light, bright, and beautiful! The barn door is fabulous! I love this room! 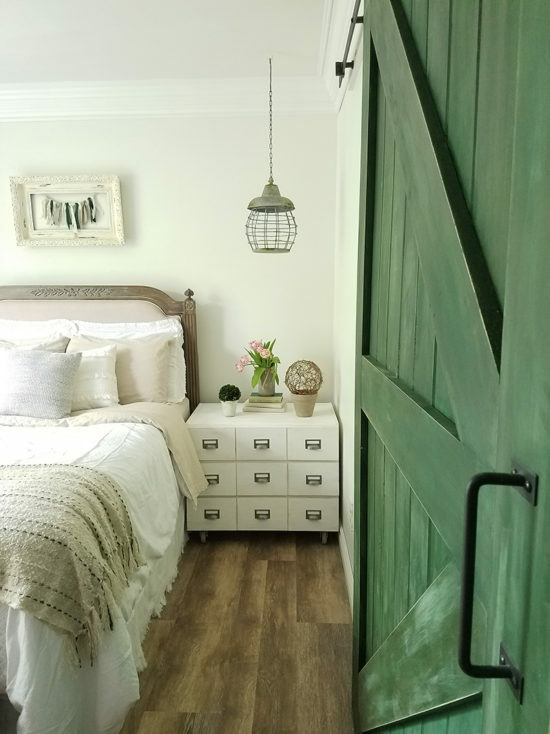 The green door is my absolute favorite but everything else all adds to the gorgeousness of this room! Wow, I love it! So serene. That green barn door is amazing! Wow! 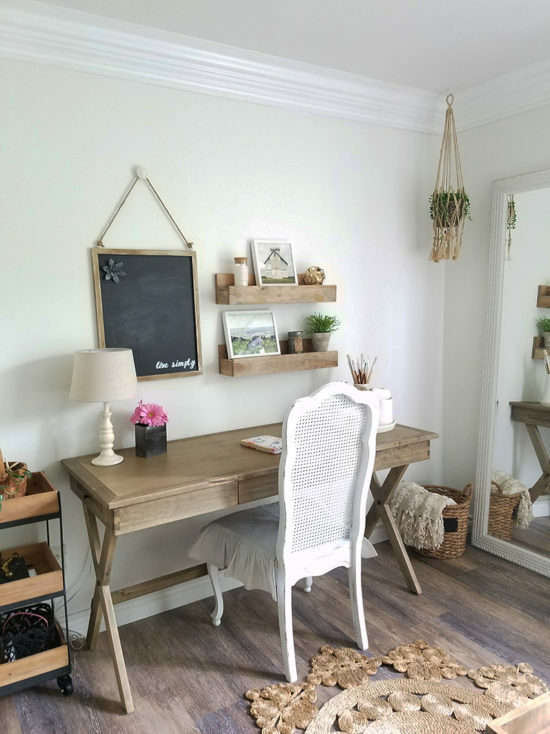 Your room transformation is beautiful! Thanks for sharing @Vintage Charm! Pinned! 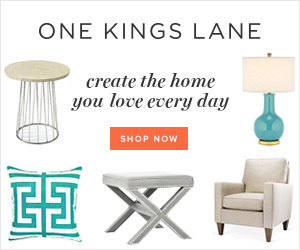 Your bedroom is light, bright, and updated, now! It looks beautiful. 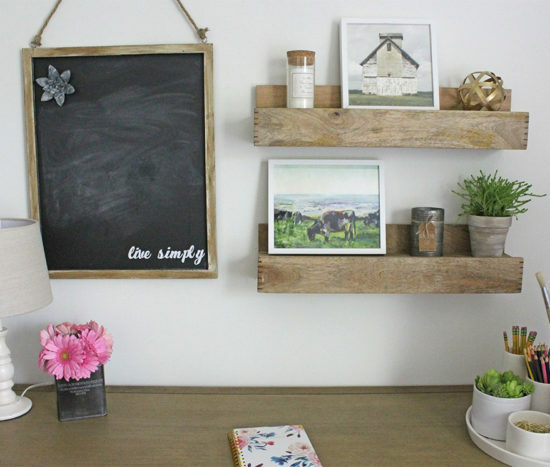 The farmhouse touches are so much more contemporary. It’s a gracious and inviting space. Beautiful bedroom makeover, it would be paradise sleeping in that room. I swoon over the two pendants and wondered how you moved them. You did a great interim job, they look fantastic and modern. Everything in this room does. Congratulations. 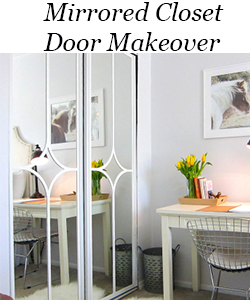 This is a gorgeous makeover! I love how light and bright it is now and that green barn door is incredible! Hi!! Love the makeover! Is the flooring Life Proof, Walton oak? How has it held up? I’m looking into doing my whole 1st floor! Thanks for any input! Hi Renee, Yes these are Walton Oak. It’s holding up wonderful, I love it! You can read more about them in this post: https://thehoneycombhome.com/installing-vinyl-floors/ Thanks! 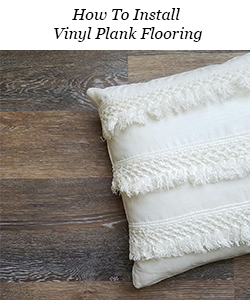 How did you cut the vinyl plank long way? My planks are 48″ long….. Thanks Ruth! For those pieces, we used a Dremel tool. It’s basically a handheld saw. Lovely! What color are the walls and trim? Thank you, Maureen. The walls are Dove White (Benjamin Moore) and the trim is Sherwin-Williams Pro-Classic paint in Bright White.